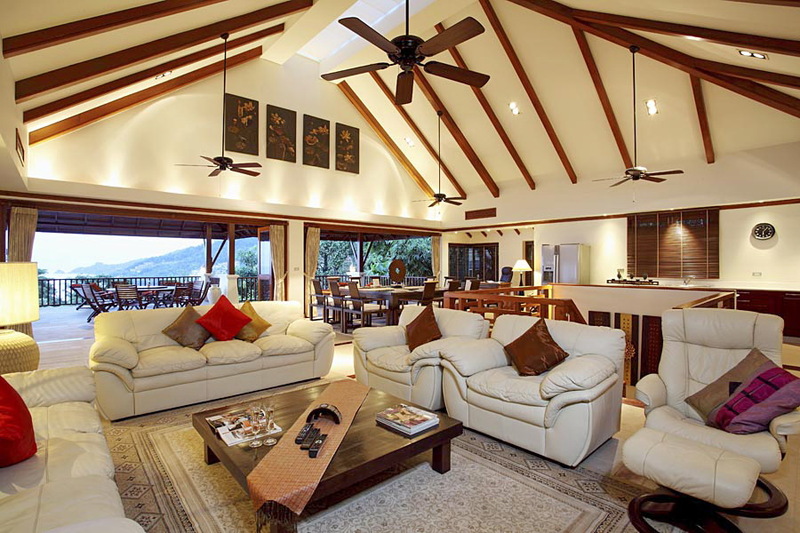 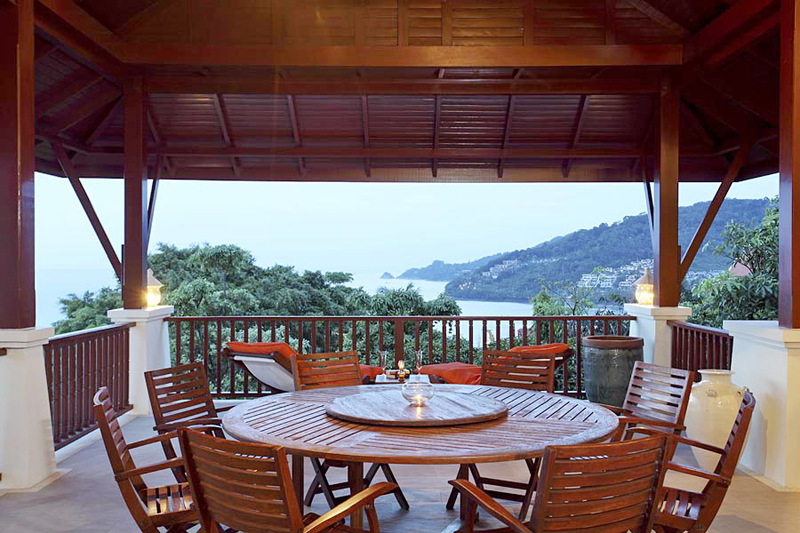 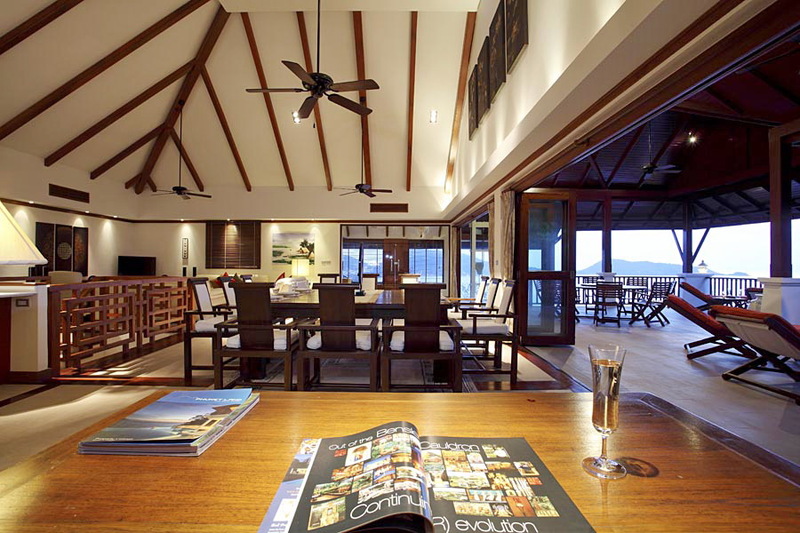 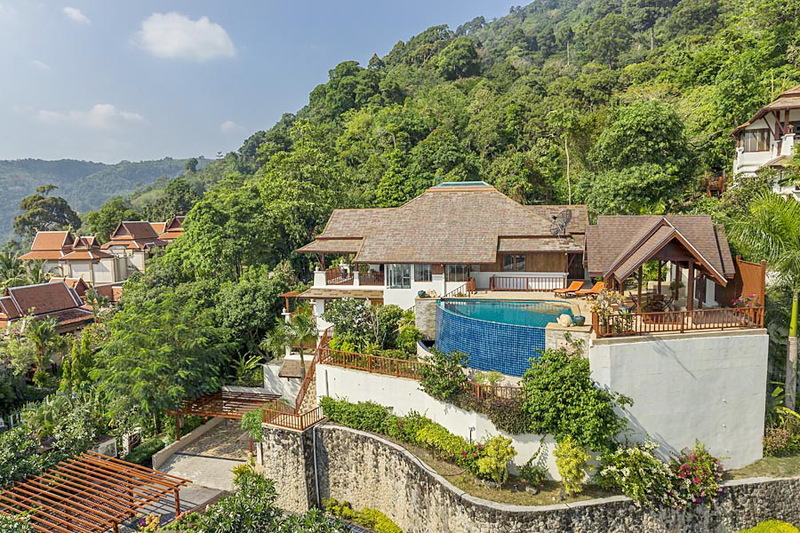 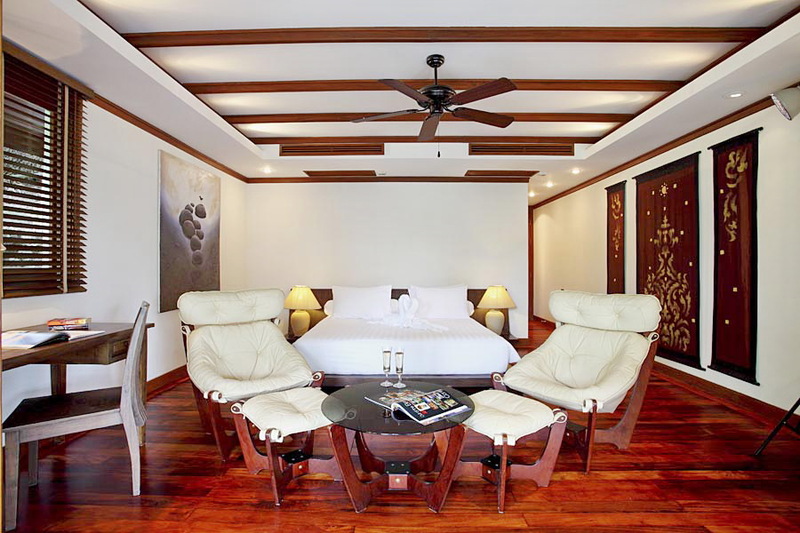 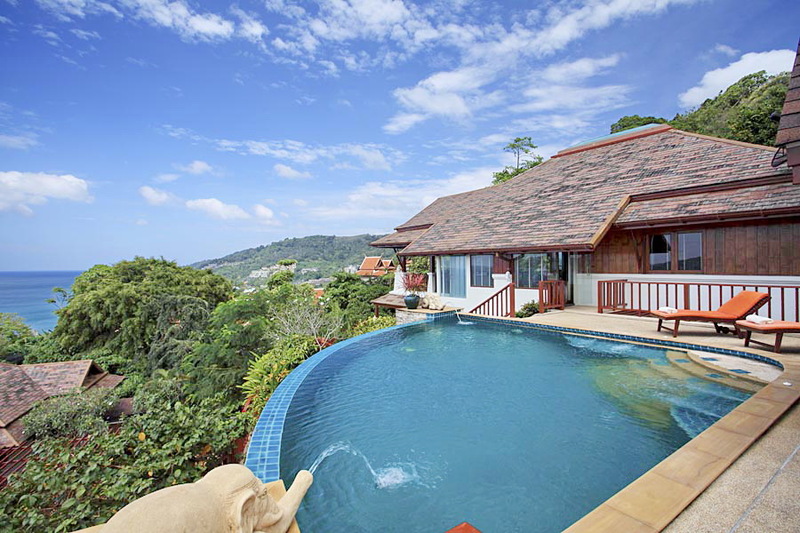 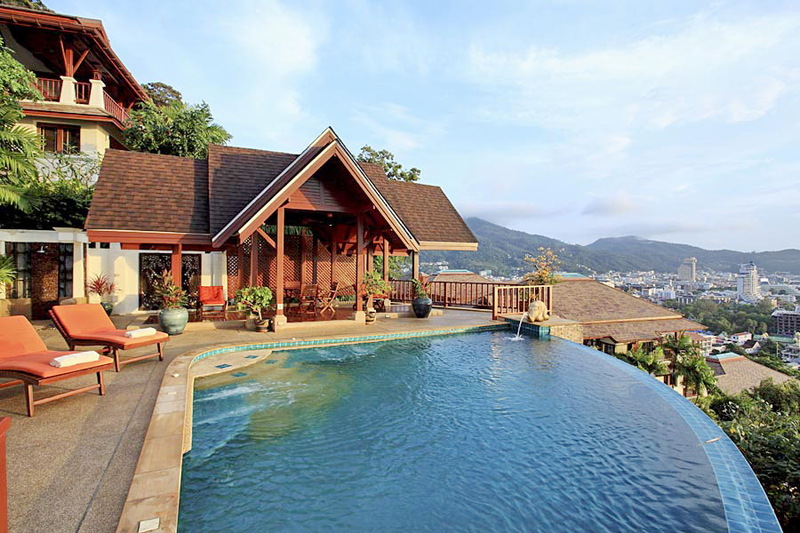 This villa for sale enjoys uninterrupted sea views and is looking out over Patong as well. 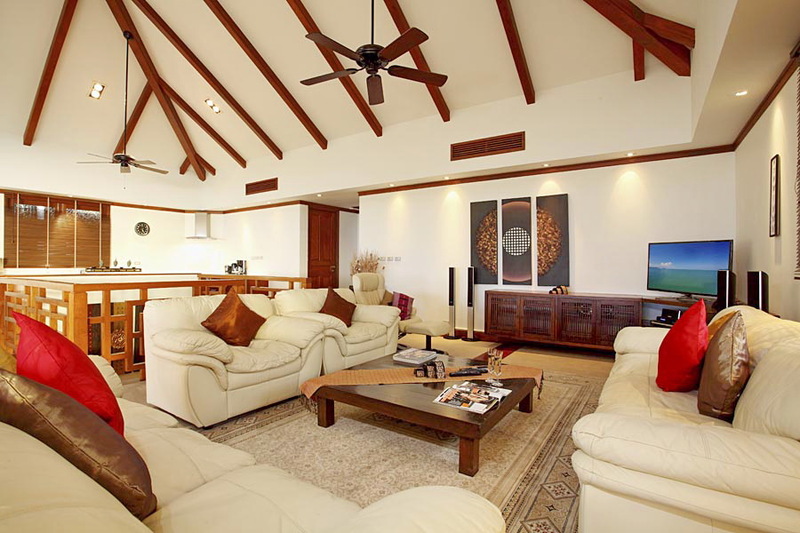 The upper level is large and airy with a spacious terrace and pool deck. 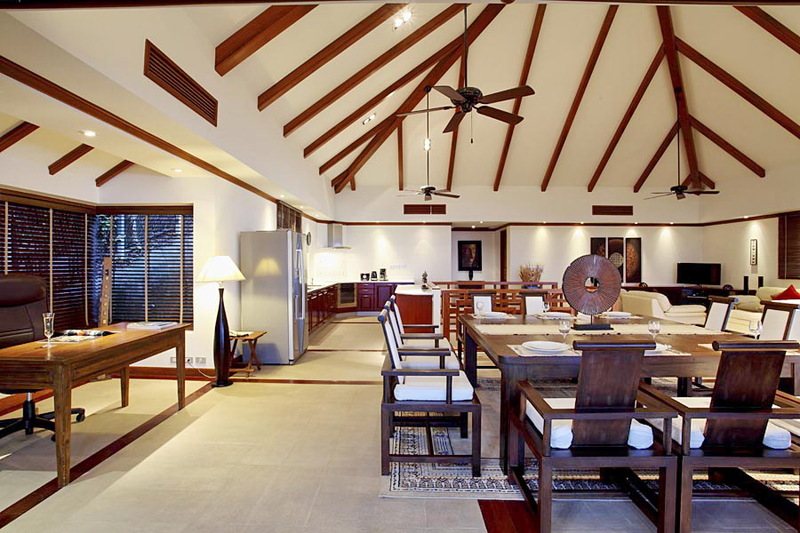 The infinity-edge plunge pool sits beside a small terrace garden.The open plan living room is very airy and light and gives out to the big covered balcony which is ideal for entertaining and family dinners. 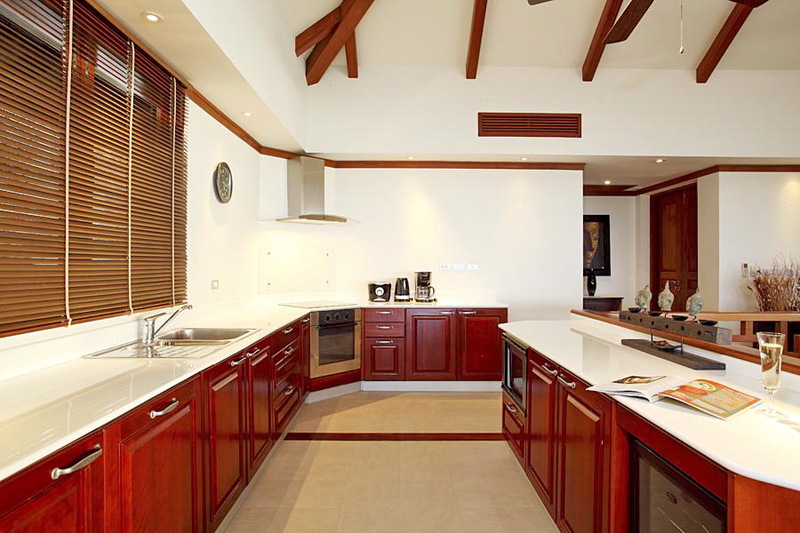 The western style kitchen is fully equipped with an American fridge, ceramic hob (x4), hood, dishwasher, oven microwave, cooking utensils and cutlery. 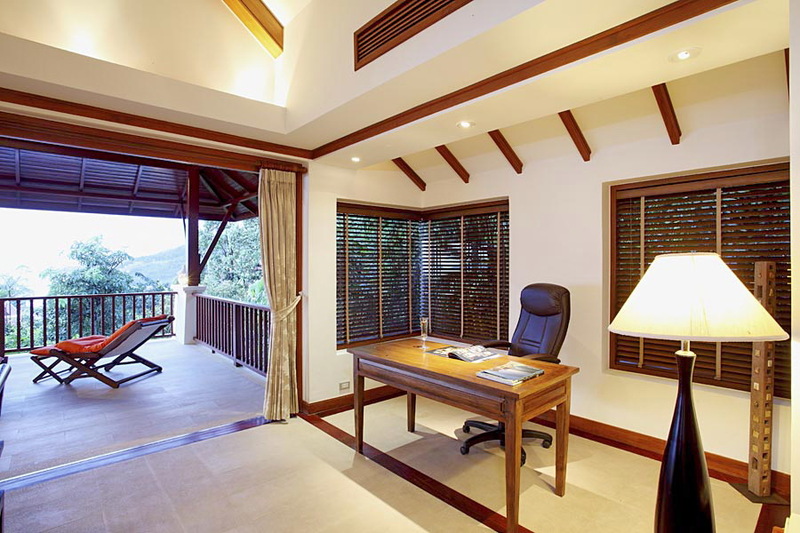 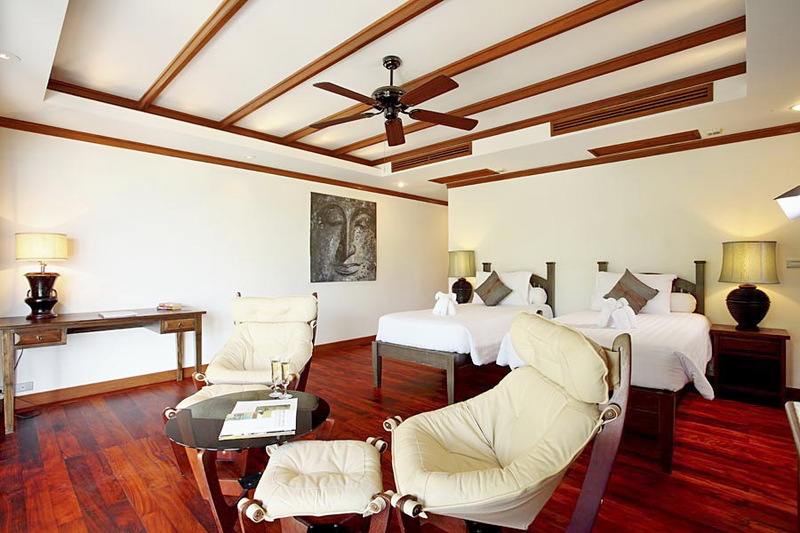 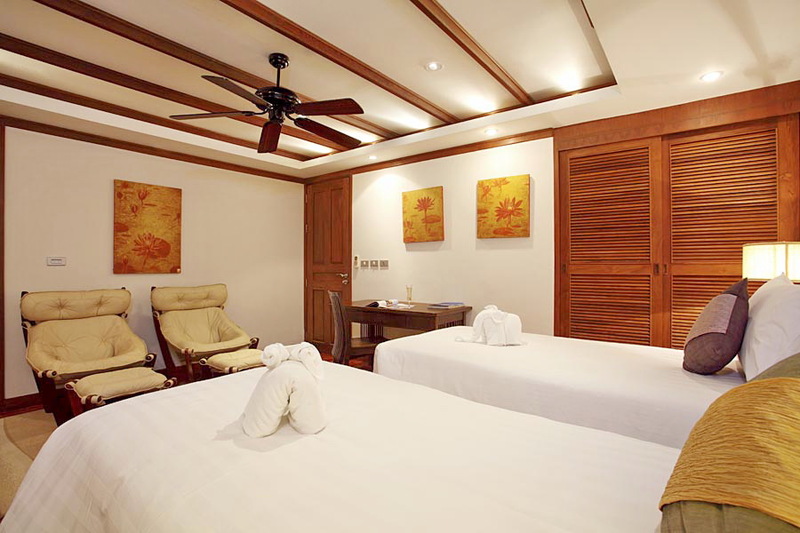 The lower level of the villa houses master suites with en-suite bathroom. 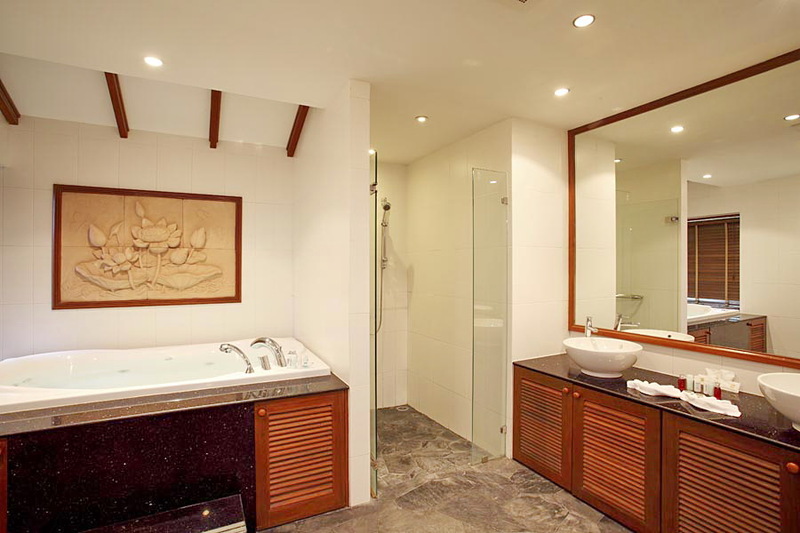 The bathrooms are spacious with separate toilet and shower areas and whirlpool baths positioned to capture the views. 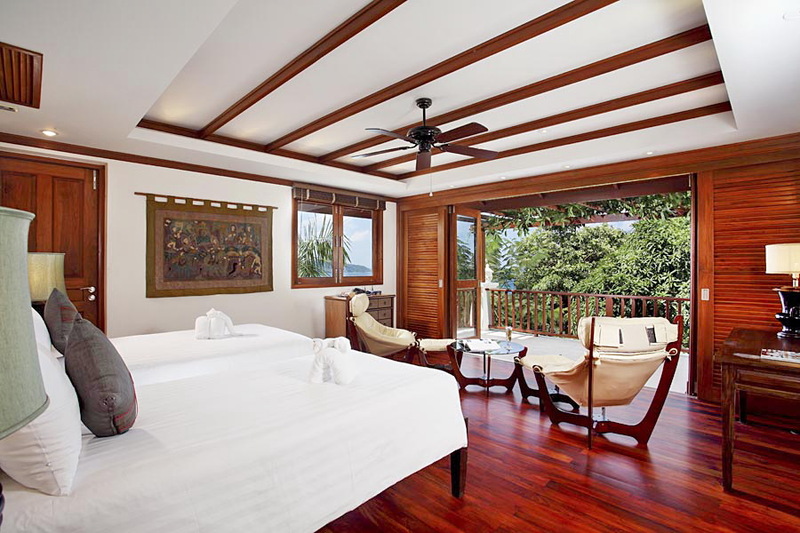 The second master suite also has a private terrace. 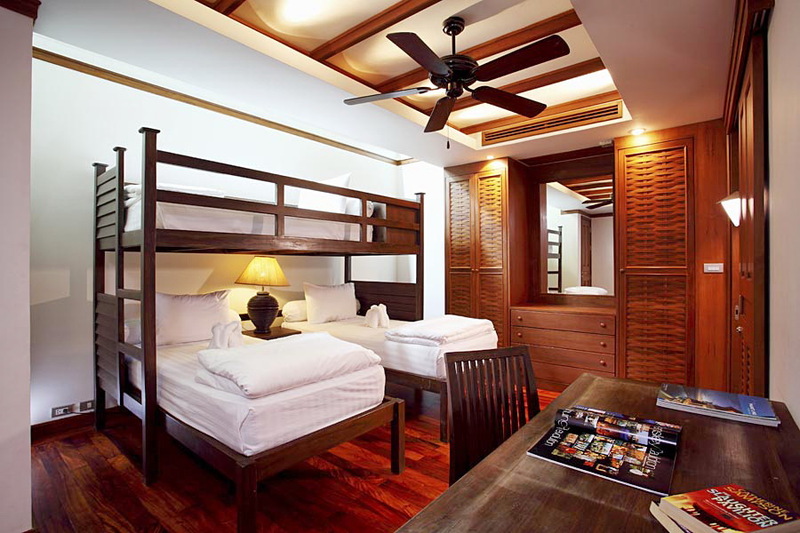 The third bedroom is a triple room with twin beds and a bunk. 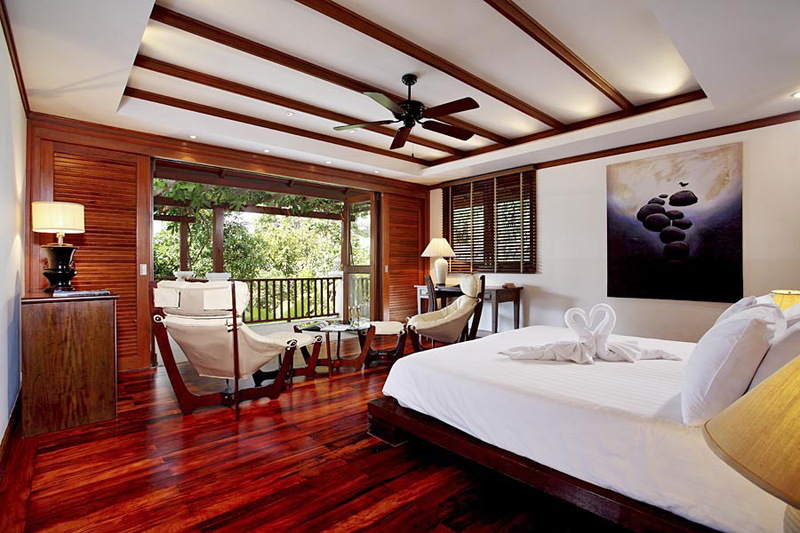 The fourth bedroom is a single. 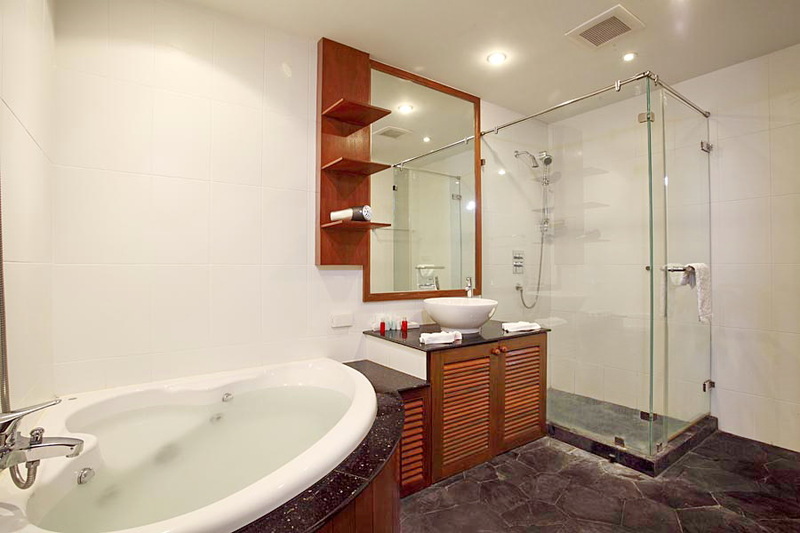 Both these bedrooms have adjoining bathrooms with shower. 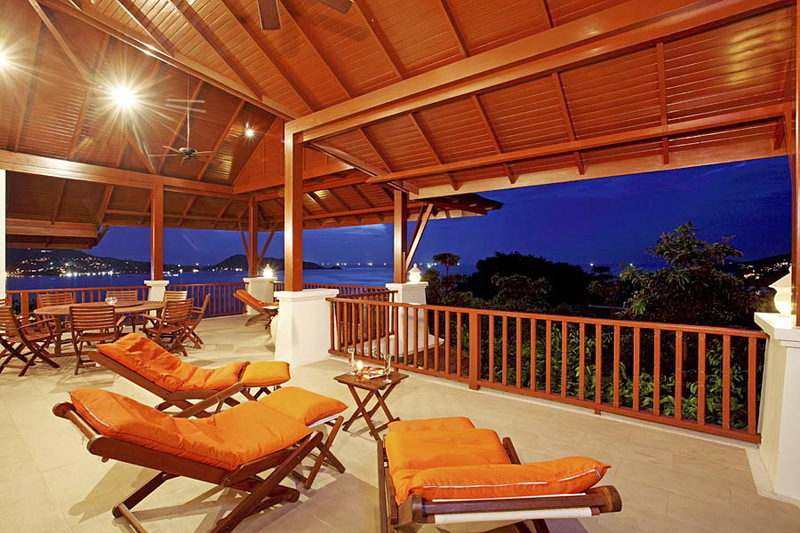 This villa for sale is perfect for full time living or a big family holiday.